Selecting the right personal insurance for your automobile, health, home, and other areas of life can be complicated. Purchasing insurance is not like buying bread at the grocery store, it requires extensive thought and research to ensure your risks are properly covered. Working with an insurance producer can give you peace of mind and the reassurance that you’ve selected the coverage that both protects you and offers the best value. Find More Choices: Insurance producers have access to more of the best insurance companies with an array of pricing. Working with different insurance company offerings allows you to receive the best value while protecting all that you’re concerned about. And you don’t have to fill out multiple online applications just to wade through a bunch of quotes. Your insurance producer will do the research and present the best options at the best values for you. Have an Advocate: When prices increase, you have a billing concern, or you need to alter your coverage due to life changes, insurance producers can act as advocates. They’ll work on your behalf to communicate with the insurance companies and get you the changes you need without misunderstandings. Receive Expert Advice: Insurance producers are licensed experts with education and experience in the field. They can help you understand complex insurance terms as well as help you make smart decisions when selecting a policy. Their career rests on their ability to help people find the appropriate coverage to meet their needs at the right price. You’ll be in good hands seeking advice from an expert. Help with Claims: Working with an insurance producer and his or her team gives you help to guide you through the claims process. Your producer doesn’t work for the insurance company and won’t have to abide by the same guidelines as a claims adjuster, so they are able to work on your behalf to ensure you get the best outcome. In addition, they understand the jargon that will be used during the process and can help prevent confusion. Get a Personal Advisor: Producers ensure you’re adequately covered to meet you and your family’s needs. They meet with you face to face, take time to hear your needs and concerns, understand your budget, and act as your personal advisor to guide you through the insurance purchasing and management process. 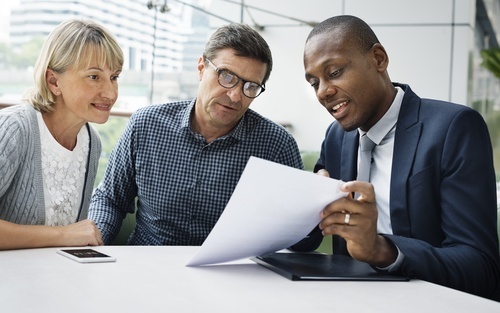 Whether you’re just beginning the journey to buying insurance or you want to reevaluate your current coverage, IOA insurance advisors can help you find the coverage options you need. We’ll work with you to develop a personal insurance plan that offers affordable options to protect you and your family when you need it most. To speak to an advisor about your options, contact us today at 800.243.6899.